As a licensed massage therapist and certified exercise physiologist, my goal is to help you live a happier, healthier and more comfortable life through Massage Therapy and Exercise. 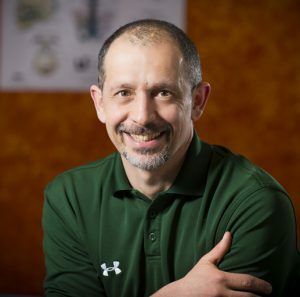 As a licensed massage therapist and certified exercise physiologist, Domenic is driven by his curiosity and desire to understand how our bodies function and how to improve individual function through massage therapy and exercise training. He is continuously immersed in studies of anatomy, physiology, exercise science and bodywork. Domenic has worked for more than 30 years as an athletic trainer, personal trainer, massage therapist, and exercise physiologist. He is passionate about empowering people in understanding their bodies and improving their well-being. Private practice in Massage Therapy and Exercise Consultation since 1993, in Western Main Line, PA. Athletic Therapist for the Montreal Machine (1991 season) of the former World League of American Football -now the NFL Europe. As a Certified Canadian Athletic Therapist was selected by Canadian Sports Medicine Council to Medical teams for the Francophone games in Morocco (1989) and Pan American Games in Cuba (1991). Bachelor of Science in Exercise Science, with distinction, 1986. Domenic is fluent in French, Italian and English. He resides in Malvern Pa, with his wife and son. His personal interests include: Taiji, enjoying the outdoors, unicycling, juggling, and all things nature and health related. Discounted 4 session packages available & senior citizen discount provided for massage therapy only. 16 sessions over 8 weeks.